With less than four weeks until Election Day, the momentum is clearly on our side. We must keep it going! Today, I’m happy to endorse another principled conservative running for Congress. Steve Pearce, in New Mexico’s 2nd Congressional District, understands what makes this country great. As a decorated military veteran, Steve served our country with honor and distinction. As a successful business-owner, he has created real jobs for New Mexico. By sending Steve back to Congress, we add one more strong voice for fiscal discipline, energy independence, and getting Americans back to work. Please visit Steve Pearce’s website at www.peopleforpearce.com and follow him on Facebook and Twitter. 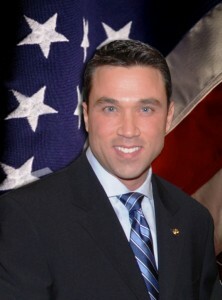 Michael Grimm has released a new TV ad attacking Congressman McMahon’s liberal record, particularly on ObamaCare. Grimm is running for New York’s 13th Congressional District, which covers Staten Island and part of Brooklyn. Governor Palin endorsed Grimm on July 28, 2010, along with John Gomez for NY-2 who ran unopposed and won. She was the first to be acknowledged and recognized during his victory speech. US for Palin Publisher, Ron Devito is campaigning for Grimm. For the primary, Devito walked door-to-door in the 60th and 79th Election Districts, installed lawn signs in the 10314 zip code, called voters on primary day and closed the PS 36 poll. When Devito arrived to the victory celebration, Allegretti had already called Grimm to concede. Watch Grimm’s victory speech here. Devito is continuing his work for Grimm, with another door-to-door walking blitz well under way in his own neighborhood and one to the west of his targeting voters in all parties. Any Grimm volunteers reading this, please send photos, video and campaign experiences to Organize4Palin. While there are many things I respect about Governor Palin, at the top of that list is her unwavering stand for what she knows is right. While many Republicans have tried to distance themselves from the issue of life–back-tracking, watering down, remaining silent–for fear that this debate will cost us elections, Governor Palin never budges. She is true to her convictions. She sees a culture of life as essential, something that must be encouraged and embraced. She will not sell her soul for politics. We know that the majority of Americans stand with her on this issue, as the numbers indicate more of us are pro-life now than pro-abortion (or pro-choice as they like to call it). 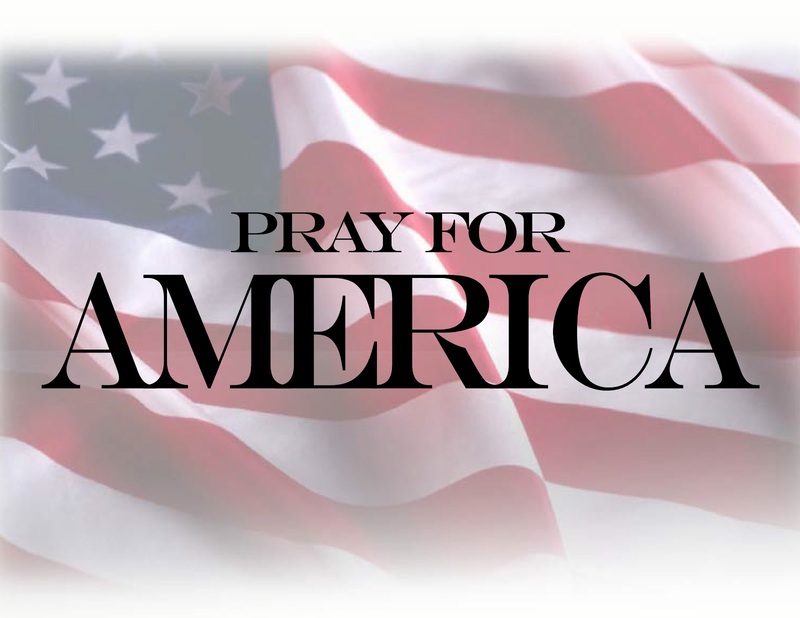 Governor Palin also never hides her Christian faith and belief that we certainly need God in America. Amen to that! She dealt with these issues in her Heroic Media keynote address in Houston last night. Palin, delivering a paid speech to an anti-abortion group in Texas, claimed that President Barack Obama oversaw “the biggest advance of the abortion industry in America” by signing landmark health care reform legislation that, she said, allows for taxpayer-funded abortions. “That’s why it’s essential that we use the 2010 midterms to elect a Congress that will make undoing the damage of Obamacare its first priority,” she told an audience of more than 2,500 gathered at First Baptist Church of Houston, a megachurch on the city’s west side. The former vice presidential candidate was speaking at an event sponsored by Heroic Media, an organization that runs ad campaigns urging women with unexpected pregnancies to seek counseling instead of abortions. The evening’s focus was squarely on the topic of abortion, but Palin couldn’t resist veering into political territory several times during her nearly hour-long appearance. She praised Texas’ Republican Gov. Rick Perry for his ferocious opposition to all things Washington and called Obama “the most pro-abortion president to ever occupy the White House,” reprising a line from similar speeches she has delivered across the country this year – sometimes for as much as $100,000 a pop. Though the political right has largely been energized this year by fiscal issues and backlash against the Obama administration’s handling of the economy, the speech was a reminder of Palin’s deeply held conservative views on social issues. Contrast Governor Palin’s position concerning abortion to President Obama’s. Watch the video below where he took too long to repeat the same old cliches about abortion, too long to only end up saying, “People still argue and disagree about it. That’s part of our Democratic way.” Unlike the President, Governor Palin knows that an unborn child is not some thing to be argued about. An unborn child is not to be thrown in the middle of the arena of our “Democratic way.” She understands that an unborn child is a life to be embraced, nurtured, and protected. And that is the humane way. As I reported yesterday, Governor Palin spoke at a pro-life fundraiser last night in Houston, TX. As usual, attendees were glad to hear her speak and were moved by her message. Sarah Palin spoke at Houston’s First Baptist Church, and she drew a crowd of the faithful, the Sarah Palin faithful. 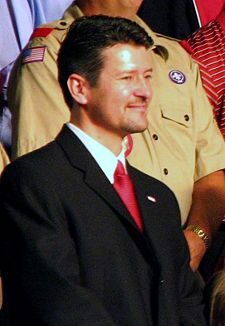 Palin was brought to Houston by a private organization to drum up support for the pro-life movement. She certainly didn’t disappoint the audience of more than 1,000 strong who came to hear her speak. Dressed in red, with a life-size cutout of Sarah Palin in tow, Jennifer McMillian Kramer wasn’t about to miss this event. More than 1,000 people showed up at the event organized by Heroic Media, a group that promotes a pro-life message. It brought the former Alaska governor in to drum up support in Houston. “When she speaks, people listen,” State Sen. Dan Patrick, (R-Harris County), said. Palin was greeted with a standing ovation. “Let me ask you, ‘Do you love your freedom?” Palin asked her audience. And she sprinkled Texas throughout her speech. “I know that your governor, he has been working tirelessly to protect your state from Obamacare, for one,” Palin said. Keeping her audience in mind, Palin spoke extensively about the pro-life platform. “I think no better place than here in Texas where you are making such good in-roads and good, positive progress on building that culture of life,” she said. Members of the media were allowed to record only the first few minutes of her speech. However, attendees who stayed through the entire presentation said they got exactly what they were looking for. “Oh I admire her,” Palin supporter Jan Lewellin said. “She’s always an exciting speaker, and she always has something to say that’s worth listening to,” Palin supporter Riley Lewellin said. Organizers estimate about 1,200 people attended Tuesday’s event. It wasn’t sold out, though. The sanctuary at First Baptist Church can hold up to 3,000 people. However, Eyewitness News spoke to some other organizers of the conservative movement who say they’re already making plans to try to bring Palin back to an even bigger audience. Yesterday, the anti-Palin blog Mudflats leaked an email that Todd Palin had sent to several people, in which he complained about something Alaska Republican senatorial candidate Joe Miller had (not) said about Sarah Palin’s qualifications for the presidency. Predictably, a media frenzy ensued. My family has worked hard in supporting Joe Miller, so when I heard he’d said something less than supportive of my wife’s efforts, I responded. But it turns out we’d gotten our wires crossed and Joe hadn’t said anything like what I’d been told. So there’s no story here except the fact that the press put our personal emails online again, and again couldn’t even be bothered to conceal our email addresses or take any steps to protect our privacy. Additionally, this story was chronicled over at The Other McCain Blog quite well.